I've been writing my '5 Questions' posts for the better part of two years now, giving independent producers the chance to have their story told and hopefully helping to raise a little awareness to their brand along the way. Most of the the posts have been written on the back of me meeting and introducing myself to producers at food shows or farmers markets, however sometimes forward thinking business owners grab the bull by the horns and approach me, which is what Melanie Auld of East Lothian based Spice Pots did when she got in touch with me through the contact form on the blog. As a relatively new business, Melanie was keen to send me some samples that I could try out in the kitchen and all going well provide a little feedback and maybe provide a little bit of publicity too. There's not many things that are I like more than a good homemade curry so I happily took Melanie up on her offer. I was an event manager for many years before I had my 3 boys – this would have been a hard job to go back to with young kids due to the hours, so I did other bits and pieces that fitted around my family including a part time cooking job at a Glasgow TV post production house, which I loved. When we moved back to East Lothian, I could no longer do this job but my confidence had grown and I was now edging towards food related jobs. 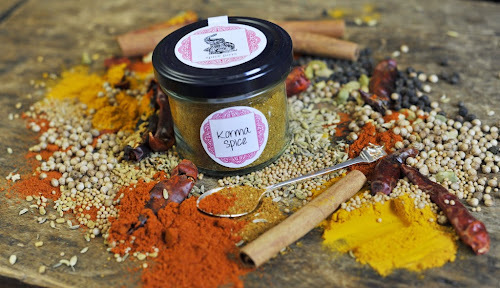 The idea behind Spice Pots started when my children were tiny, in about 2008 / 2009. I loved to cook curries (I spent 6 months in India when I was 19) but found it increasingly difficult with 3 pre-school kids in the house. 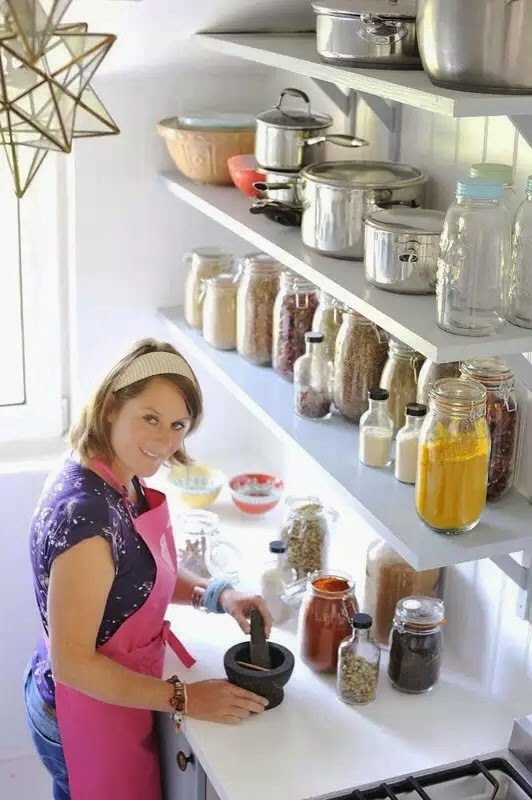 Before my husband went to work, he used to measure, roast and grind all the spices I needed to make my favourite curries and put them in a jar. This took all the thinking out (even something as simple as counting out teaspoons of spices is taxing when constantly interrupted by small people)! However, it took a couple of nudges to launch it as a business in 2013; being turned down for two local jobs and a little money my lovely old Gran left me when she died. What's the best piece of business advice that you could give? Sleep on it and share it! I'm learning to take it slow and steady and to take advice from friends and family. I would like to have developed more Indian blends and possibly other ranges too. I am still a very new business but have a busy Autumn planned so I'm waiting to see how that goes before making too many grand plans. Ask me again in January! If you could cook only one of your products, what would it be and why? 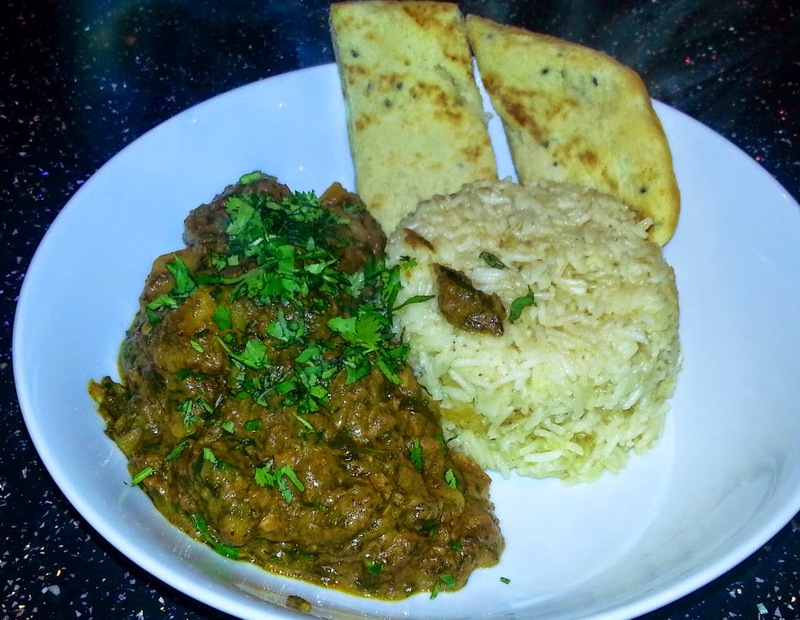 Spice Pots lamb bhuna served with brown rice and mint and coriander raita. This curry is so easy and so delicious. It has tons of flavour and is only medium heat so it's a good one for gatherings as not everyone can handle (or likes) too much chilli. And the mint and coriander raita just goes so well with the lamb. It's great for leftovers too – I think it tastes even better the next day- delicious in a pitta with the raita drizzled over! You can invite one person (living or dead) to your last meal – who would it be and why? And what's on the menu? 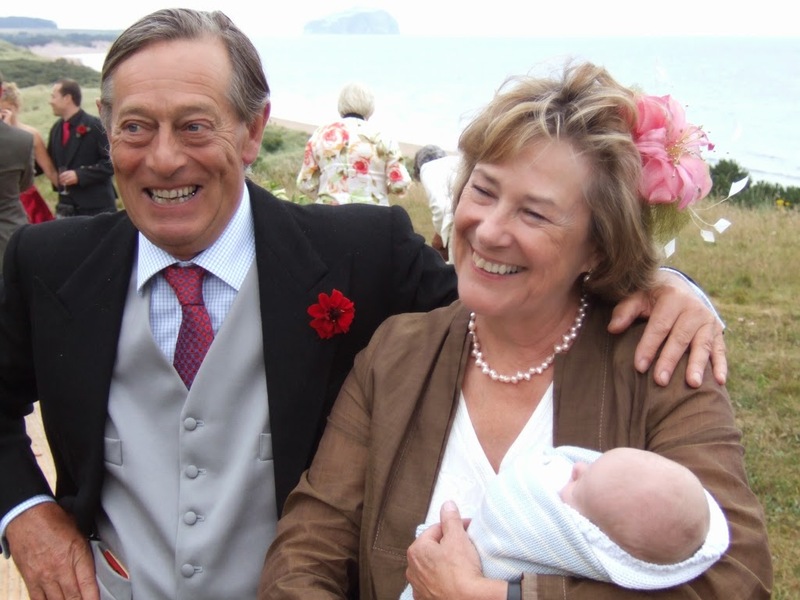 For the starter, I would invite my Dad (sadly no longer here), my mum and my 2 brothers. Joining us for the main course would be my husband and the wives of my brothers. For pudding, all of our kids , 6 of them, would join us. My cooking roots are firmly in the traditional camp. I learnt (surreptitiously) from my Mum who would cook soups, stews and Sunday roasts and use loads of fresh produce from the garden. My Mum and Dad had an amazing vegetable garden and we had an abundance of soft fruits too. Mum designed, planted and cared for a beautiful herb garden in an old cattle court – I remember helping to pick out all the stones before the topsoil was delivered! The herbs were all beautifully laid out, and there was a greenhouse and a pond. On the menu would be a simple starter of artichokes served with home-made, herby mayonnaise or garlic butter. For the main course, roast lamb with minted potatoes and one of the many green vegetables or salad leaves they used to grow. 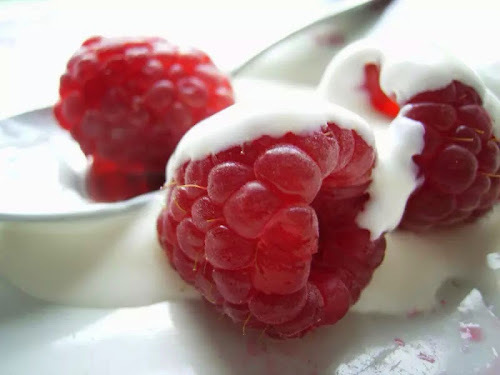 For pudding, it would be my Dad's favourite – raspberries from the garden, with an abundance of sugar and cream. Just before I went off on holiday, Melanie kindly sent me five separate Spice Pots to try out. Each jar of Spice Pots comes with their own easy to follow instruction card which walks you through the cooking process and also outlines any addition ingredients that you may need. 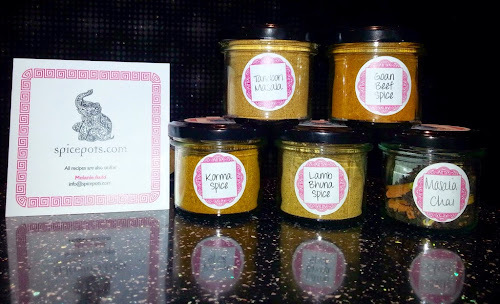 When I received my goodies I was just about to go off on holiday so made the decision that I would wait until I came home before putting Spice Pots to the test. With so many traditional curries at my fingertips I struggled to decide which one to cook first but the Goan Beef won in the end. By cooking beef and onions slowly with the contents of the Spice Pots jar before adding a tin of coconut milk, I had a wonderfully flavoured traditional curry. I also added some potato and lots of spinach which added a real depth of character. In fact, I sure that you could easily add any of your own favourite ingredients and be guaranteed a delicious and authentic dish. I'm all for ways of getting more people back into the kitchen and I think that Spice Pots is a fantastic product that will be a huge help to those that want to know and understand more about Indian cooking. I can't wait to crack the lid from my next Spice Pots jar. 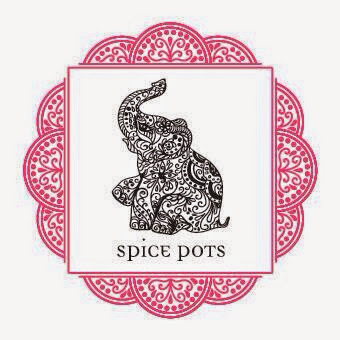 You can order your favourite spice blends on the Spice Pots Spice Shop, or keep up to date on Facebook or Twitter.